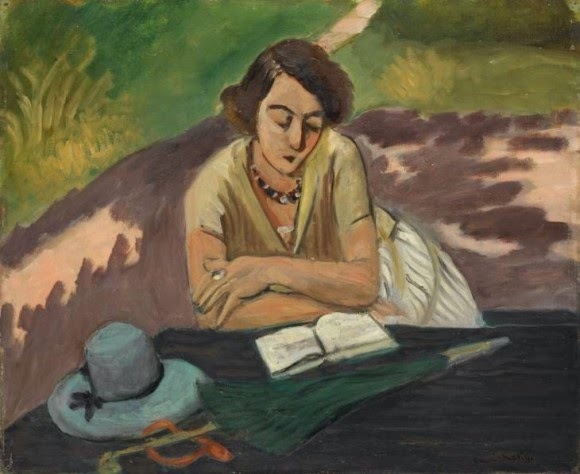 Henri Matisse, "Reading Woman with Parasol". Maria Teresa Morreale was born on July 16th in 1933. She was a German scholar and linguist, to whom we owe the translation of important works by women and not only. After graduated at the Faculty of Letters and Philosophy of Palermo she moved immediately in Cologne, Germany, where she explores German culture by enrolling in the Faculty of Philosophy at the University of Cologne and where in the meanwhile she also teaches Italian at the Italian Cultural Institute. Then she moved to Bonn after winning a scholarship from the Alexander von Humboldt-Stiftung, but it does not come to an end because shortly she was appointed assistant in the Magistrale Faculty at the University of Palermo where she devoted herself particularly to the period of the German Romanticism. At the end of the 70s of the twentieth century, she moved again, this time in Mogadishu, at the Somali National University, where she teaches Italian through a project of the Ministry of Foreign Affairs. Back in Italy in Palermo she came back to teach at the Faculty of Foreign Languages ​​and joins the Italian Association of Teachers of German Language ADILT of which she would be the manager at the regional level for many years . In 1982 she became an associate professor. Her linguistic research will keep her to sweep the door in the years touching various aspects of the relationship between literature and the history of the science of literature through the study of the works by Gervinus to travel literature, from the plays of Brecht to the German fiction of the nineteenth century. But her attention will also focus on the works of the german women and about the "Frauenfrage" (female issue). In 1975 she began her collaboration with the magazine DWF Donnawomanfemme writing an article on the novel "Malina" of the Austrian poetess and writer Ingeborg Bachmann, titled "Malina or overpowering the female ego" where she analyzed the work of the Austrian writer noting that being a woman leads to a state of isolation for the mere fact of being born a female. 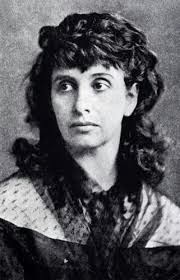 In 1976 she wrote the essay, of nearly twenty pages, about Nietzsche and women, titled "Nietzsche and women, according to a German feminist of the late nineteenth century", in which she fully translated an article by Hedwig Dohm came out in 1898 on the Berlin magazine "Die Zukunft" and where she went on to introduce how Nietzsche, open minded about morals when comes to women's emancipation instead can not conceive of any emancipation of women because he sees them only as an instrument of pleasure and descent for men. In the same year she published also a very interesting article and debate: "Debate (Who, for whom, how. Scientific research on the side of the woman)," in which Maria Theresa and the other editors compared and discussed the difficulties for women researchers to carry out their studies in a disciplinary system designed by and for men. The following year it was the turn of the essay on "The Women's Education in the two Germanies" and yet "Women and literature in Germany. Comments and insights on the German culture of the eighteenth century " on Quaderno, Vol. 14, Institute of Foreign Languages ​​and Literature, which will be pubblished later in 1981 with the title of "Born to read. Remarks about German culture of the eighteenth century. " In 1982 she released an essay on the writer and playwright by Ilse Langner called "Ilse Langner: theater, plays, travel stories". Meanwhile she also collaborates with the magazine Leggeredonna and the University of Pavia and the National Research Center CNR participating at the realization of the book "From the lounge to the party. German women writers between bourgeois revolution and the right to vote "by Lia Secci in 1982, in which she will provide an important contribution about Hedwig Dhom, Helene Lange and Luise Büchner having written the final note of the reprinted book" Luise Büchner. Die Frauen und Ihr Beruf. "in 1981. Then in 1982 she participated at the IV International Congress of Sicilian Studies with a report on "Luise Büchner, an intellectual Hessian". In 1984, inspiring from the figure of the poetess Ingeborg Bachmann, who she knew personally, she wrote an essay about this author and her Frankfurt Lectures. In 1986 she will participate at the Georg Büchner's Seminar with the report "The Kato-Rede by Georg Büchner in the memories of his sister Luise" and finally in 1988 she published the book "Luise Büchner: a poet." The well-known German Researcher will then continue her journey by scholar with other topics related to the German culture and will die in 1996 in Palermo, on February 14th. Some photos or images on this blog are taken from the web because they fit to the topics proposed. If there are any under copyright contact me and I will glad to cancell them or to change them. This blog aspires to be a full expression of Art. 21 of the Italian Constitution. Although normally updated many times, "genderopportunity- OG, Opportunità di Genere" does not have a frequency default and can not therefore be considered an editorial under the italian law n.62 of 7.03.2001. Questo blog ambisce ad essere una piena espressione dell'Art. 21 della Costituzione Italiana. Pur essendo normalmente aggiornato piu' volte, "genderopportunity- OG, Opportunità di Genere" non ha una periodicita' predefinita e non puo' quindi considerarsi un prodotto editoriale ai sensi della legge n.62 del 7.03.2001.